Dig in, fill your plate and come back for seconds. With the weather having turned and Christmas fast approaching I’ve found myself craving something warming and sweet to enjoy with a cup of coffee mid afternoon. 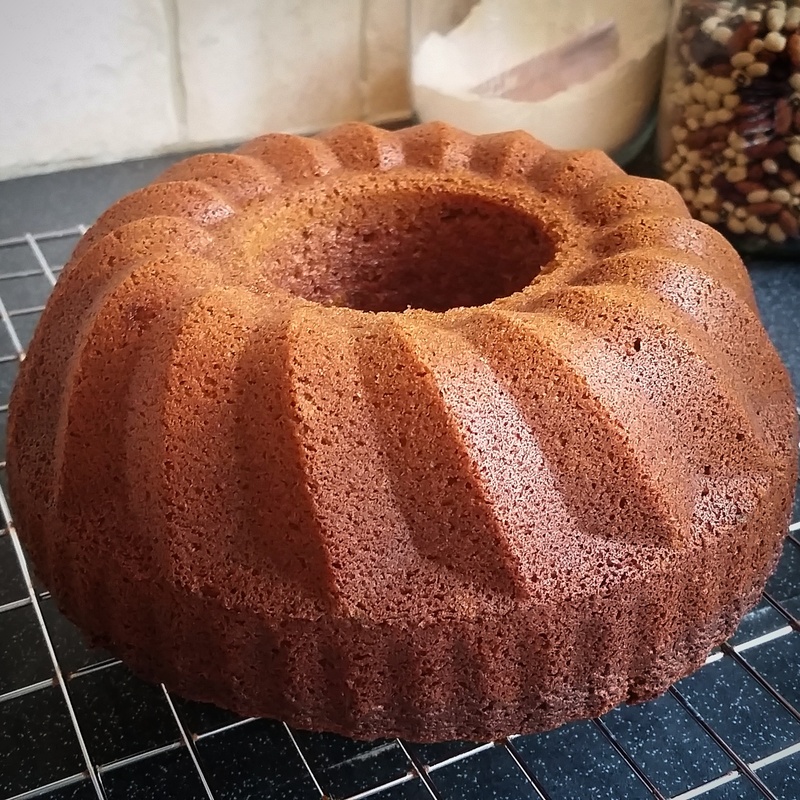 Most days I have the willpower to resist, however this weekend I experimented with a basic ginger cake recipe, tweaking it with spices and dates. The mini bundts went down well at a family meal served with custard and also the following day at church with a caramel drizzle, but to me, they were slightly dark and more pudding like than cake. So, with the school fair looming in Saturday I made some adjustments and came up with this easy recipe. Boil the kettle and measure out 250ml boiling water. 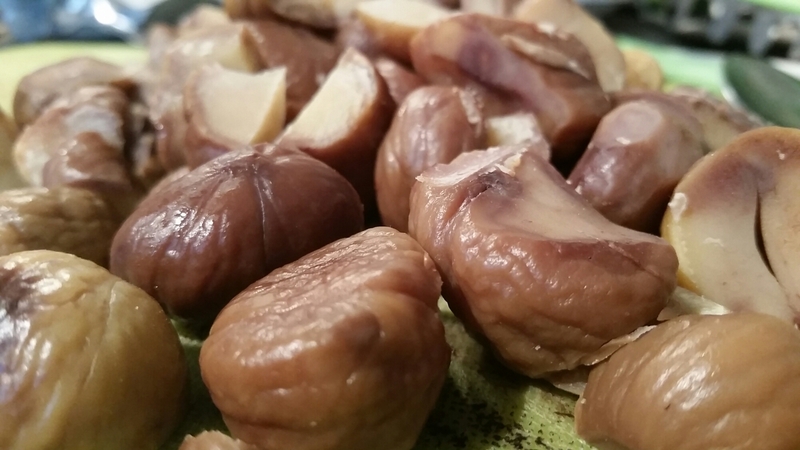 In a blender cup (I used my nutribullet) weigh out 75g pitted dates and pour over the boiling water). Put the lid or blade on and leave until cool. Whilst the dates are cooling cream together 125g butter and 125g caster sugar (I keep caster sugar in a jar with left over vanilla pods to add extra flavour) before adding in one large egg and 225g golden syrup. Beat together until fully combined then sieve in 300g plain flour, 1.5 tsp bicarb, 2 tsp each of ground ginger and cinnamon and half a teaspoon of ground cloves. Add in half a teaspoon of salt to offset the sweetness. Whizz up the dates, and as the flour is combining with the wet ingredients drizzle in the date water. Don’t be alarmed at how wet the batter is. 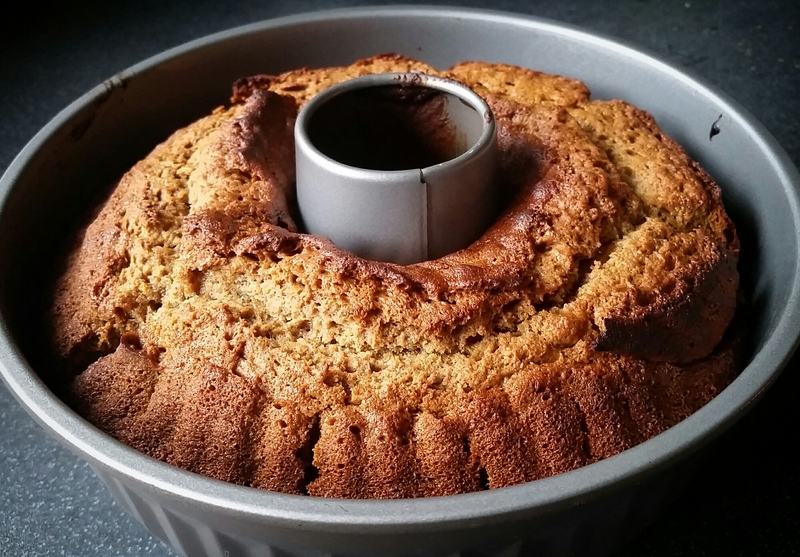 Pour it into a well greased bundt tin, (or your tin of choice but be sure to adjust the cooking time accordingly) and bake for 35 mins at 170oC or until the cake springs back when lightly pressed, and a skewer comes out clean. Leave to cool in the tin for ten minutes before turning out. Light and moist with a distinct ginger taste yet reminiscent of its delectable cousin the sticky toffee pud. I plan to make a cheats caramel drizzle for the bundt by simply warming some condensed caramel up and spooning over the top. That can wait until Saturday though. 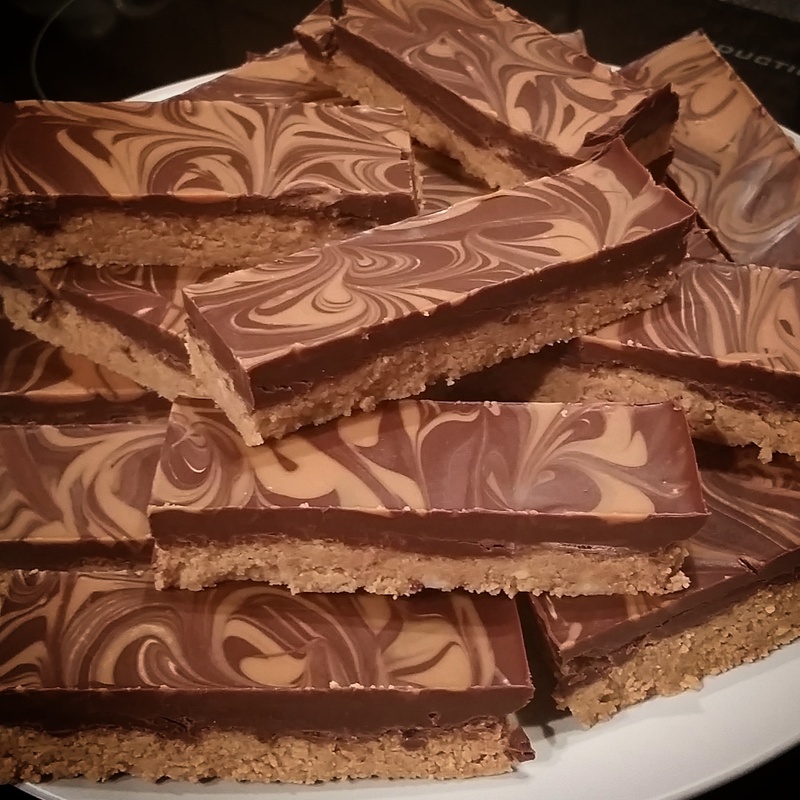 Caramel biscuit, chocolate and peanut butter no bake tray bake! 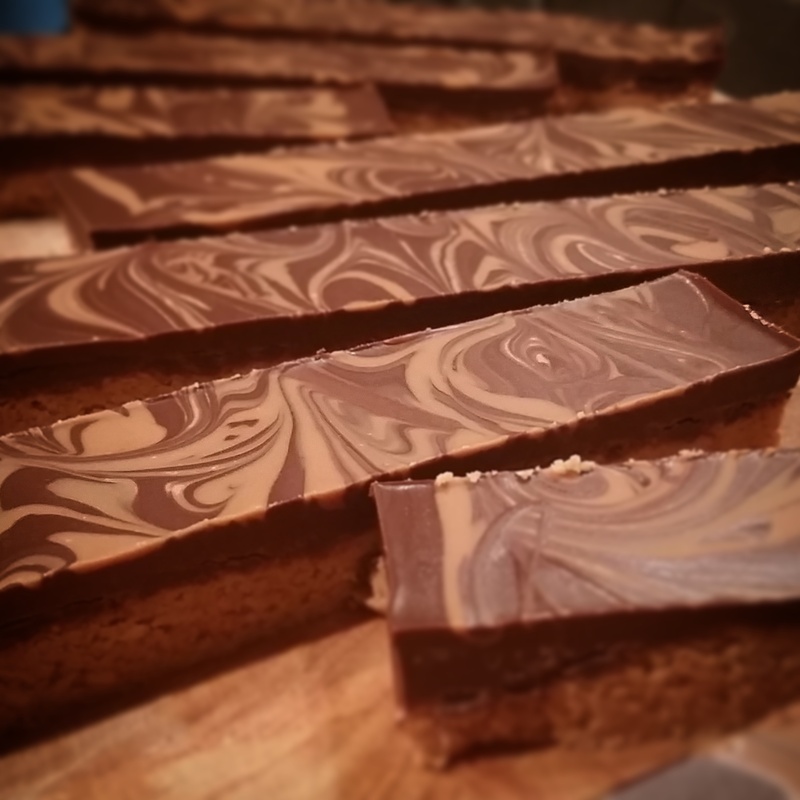 Oooh I love a good tray bake, especially when it’s a minimal fuss, no bake, tray bake. The amalgamation of caramel, chocolate and peanut is a heavenly flavour sensation, and not to mention a reliable crowd pleaser. This recipe makes quite a large batch (these were for church), so by all means halve the quantities if you want, or alternatively freeze any leftovers (if you can resist the urge to hide in a dark corner and demolish them). I whizzed up two 250g packs of Lotus Biscoff biscuits in a blender with 2 tablespoons of icing sugar, before adding in dollops of crunchy peanut butter. When the mixture starts to clump together you’ve added enough. Press these sticky crumbs into a shallow tray (I think mine was probably about 12″ by 8″). 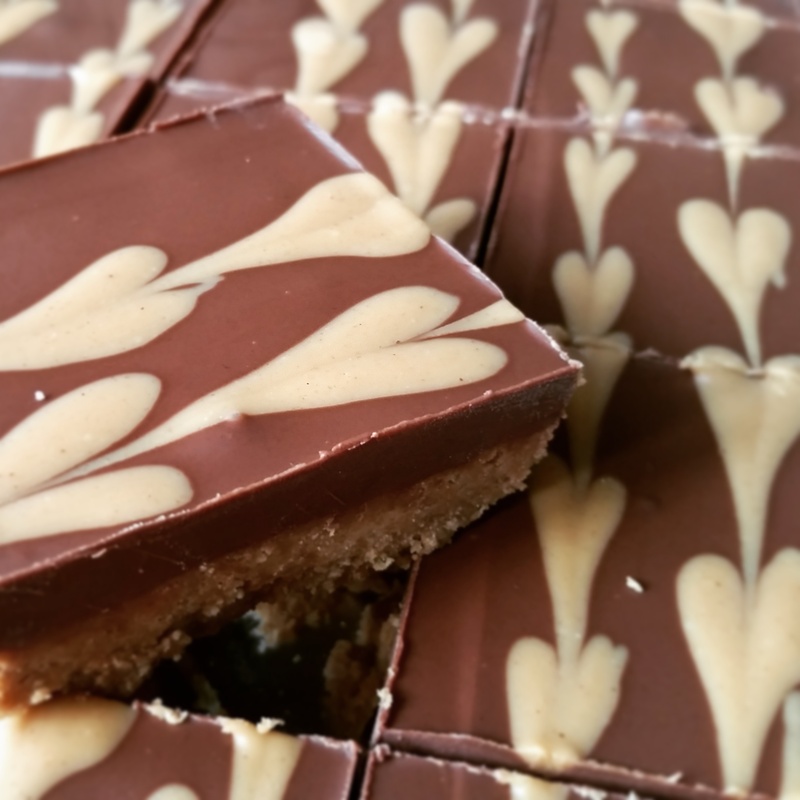 Now melt 300g milk chocolate in a bain-marie, adding in a cup of Smooth Lotus Biscoff spread. Stir until it melts and pour over the biscuit base. Now melt a couple of additional tablespoons of the biscuit spread and drizzle over the chocolate topping. Use a skewer to unleash your artistic talents and make swirly patterns on top. Leave to set in the fridge for a few hours before slicing into fingers or squares. Delicious! If you prefer a more uniform pattern on the top pipe little blobs of the melted biscuit spread onto the chocolate in straight rows and then drag a skewer through the centre of each blob in the row to create perfect little hearts. Here’s a pic from another test bake I made a while ago to demonstrate the technique. Being a pescatarian, hubby doesn’t partake in the traditional turkey/goose dinner on Christmas day, so I like to make something festive and delicious for him to enjoy instead. This cranberry, chestnut and mushroom pie is just the ticket. 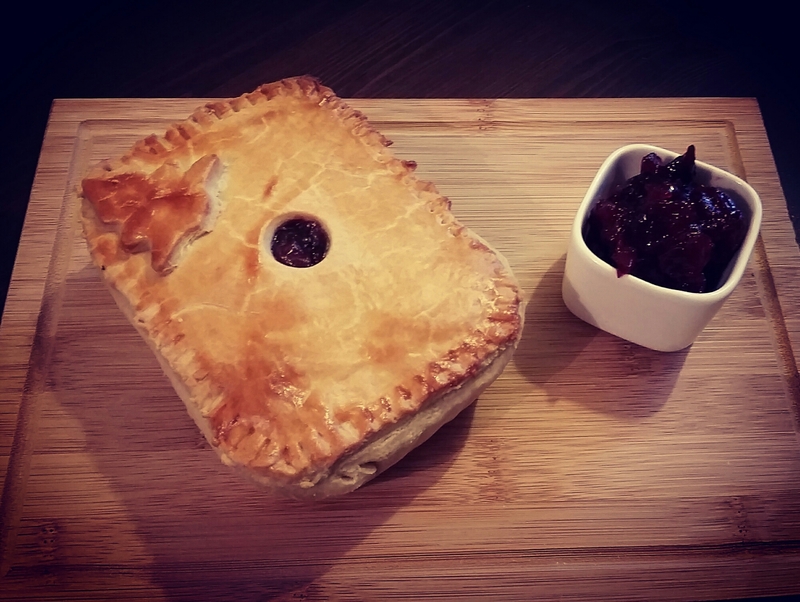 Very savoury with the distinct taste of porchini mushrooms, spiked with delicious tangy and sweet cranberry sauce encased in delicious shortcrust pastry, it’s sure to tempt even the most carnivorous family members. Firstly make a batch of shortcrust pastry (or shop bought is fine if you prefer). In a food processor pulse together 450g plain flour, 200g cold cubed butter, a couple of pinches of salt, and a tsp freshly ground nutmeg. Once the butter and flour are combined add in approximately 6 tablespoons of very cold water, or just enough so the pastry clumps together. Put a piece of clingfilm on the work surface, tip the dough out onto it and quickly mould together into a disc shape. Wrap in the clingfilm and chill for at least half an hour (I actually left mine over night). 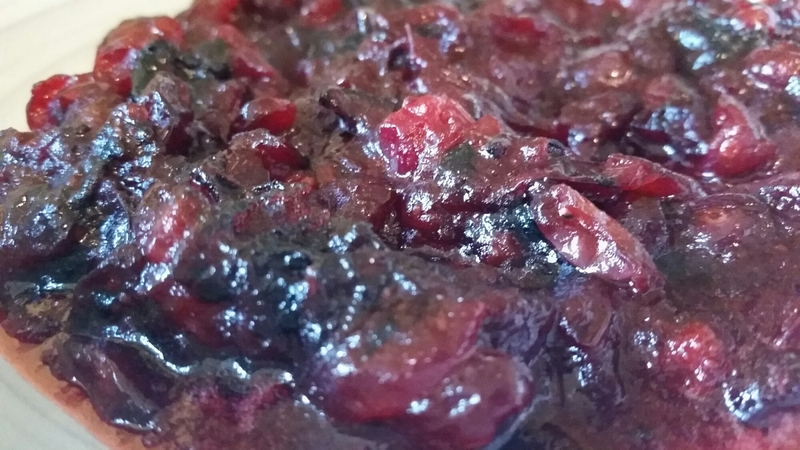 For the cranberry sauce wash a 300g punnet of fresh cranberries and put in a pan with 100ml apple juice and 100g light brown sugar. Bring to the boil and simmer, with the lid off, until it thickens, (around 10 minutes). Taste, add more sugar if needed and set aside to cool. Put a small handful of dried porchini mushrooms in a mug and fill the mug with boiling water. While the mushrooms are rehydrating sauté a finely sliced leek and 2 cloves of crushed garlic in a pan with butter and rapeseed/olive oil. 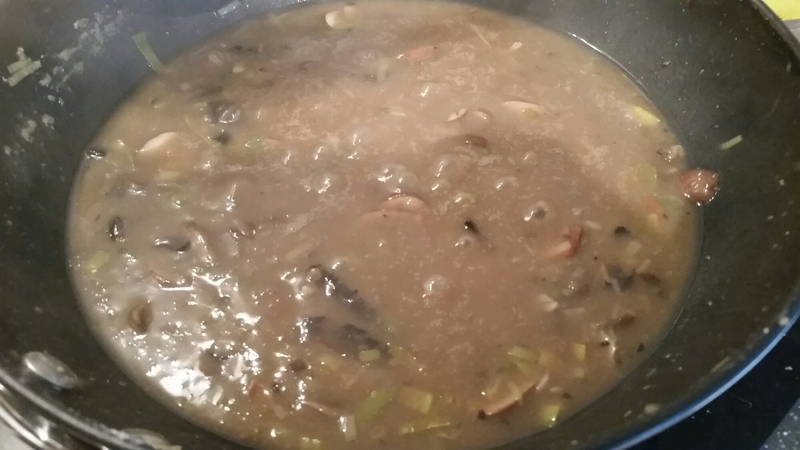 Once softened add in two sliced portobello mushrooms and a couple of handfuls of sliced chestnut mushrooms and cook down. Remove the porchini from the mug, making sure you reserve the water as this will be the stock for the sauce. Roughly chop the porchini before adding into the pan with the leeks and mushrooms. 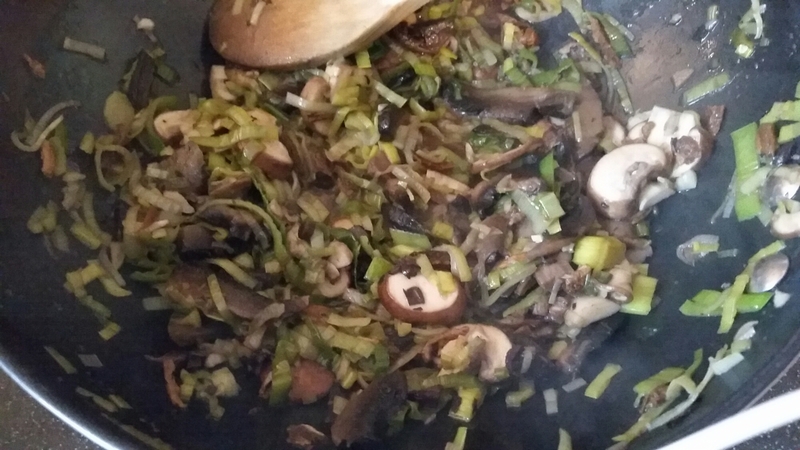 Add in a third of a cup of plain flour and stir continuously making sure the mushrooms and leeks are well covered. Season with salt and pepper, a bay leaf and some fresh thyme. Add in the porchini water stiring continuously until you have a nice thick sauce. You’ll need to add in some extra water as you go. Turn the heat down and leave to simmer gently. Taste and adjust seasoning as needed. 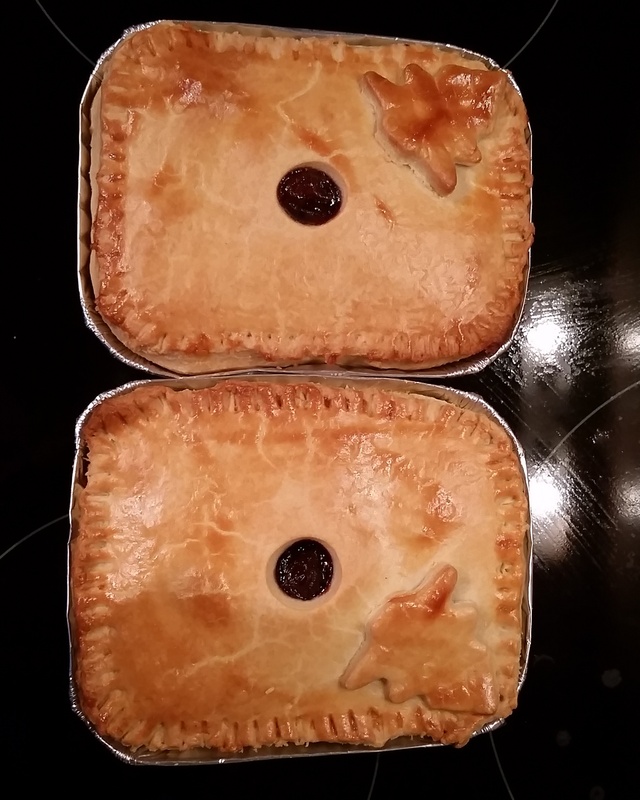 Now roll out the pastry to about the thickness of a pound coin and line individual pie cases leaving extra for the lids. 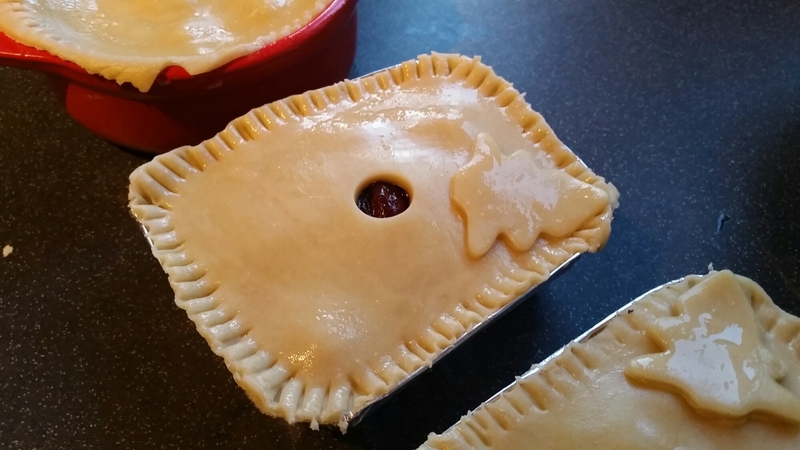 Cover the lined pie crusts and lids in cling again and put back in the fridge. While they’re chilling roughly chop 350g cooked chestnuts and add to the pie filling. Turn the heat off and leave to cool to room temp. Once the filling is cool, take the pie cases out of the fridge. Spoon a dessert spoon of the cranberry sauce in the bottom of each pie case. 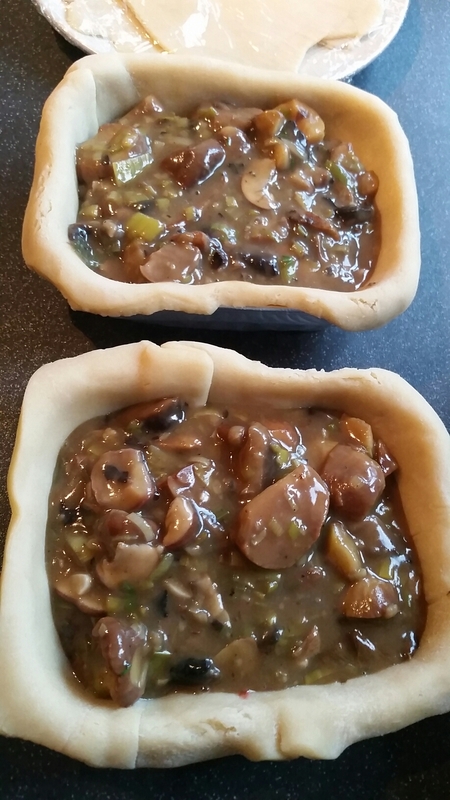 Then top with the chestnut and mushroom filling. Brush the edges of the pies with egg wash before making a hole in the lid, and placing it on top. 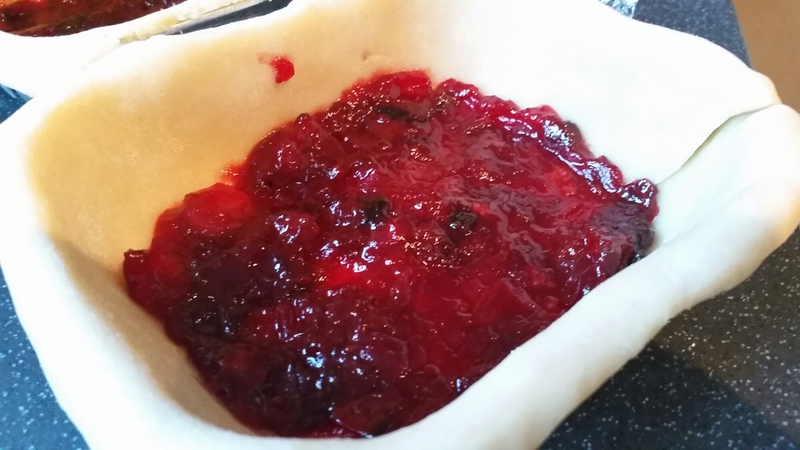 Add a little extra cranberry sauce under the hole of the lid if you like. Crimp the edges with a fork and egg wash the top before adding any festive pastry embellishments. I simply cut out Christmas trees and stuck them on. Bake in a 190oC oven for 25-30 minutes until golden. I’m going to freeze these for Christmas and will just defrost in the fridge on Christmas Eve, before heating up for twenty minutes on Christmas Day. It’s a very special day at church tomorrow as a couple of our younger congregation members have decided to declare their faith to the world and be baptised! After the service the celebrations will continue with a Jacob’s Join (or potluck to my American friends) lunch. 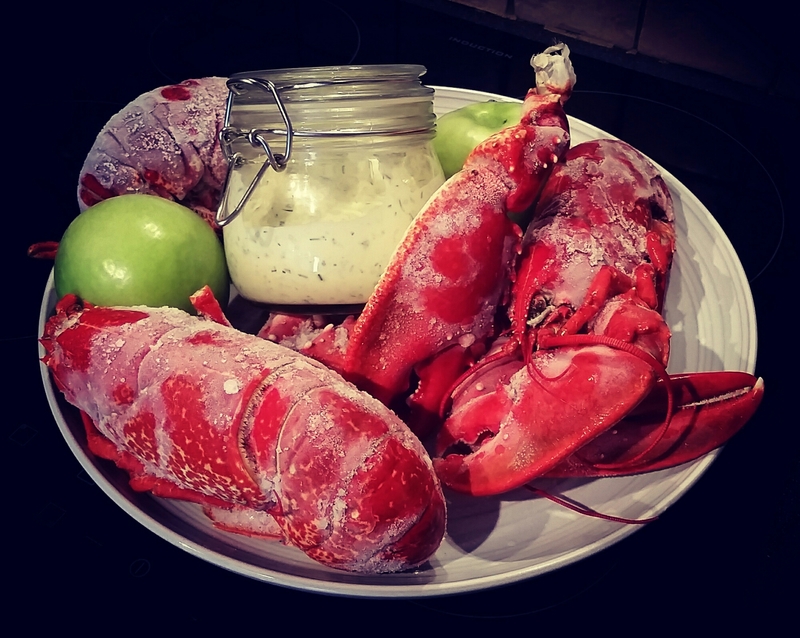 To me nothing screams celebration food more than lobster, and thanks to my lovely Daddy who brings me a steady supply of his home caught Pembrokeshire lobsters, I was able to dig a few out if the freezer ready to adorn with some simple, but scrumptious ingredients. 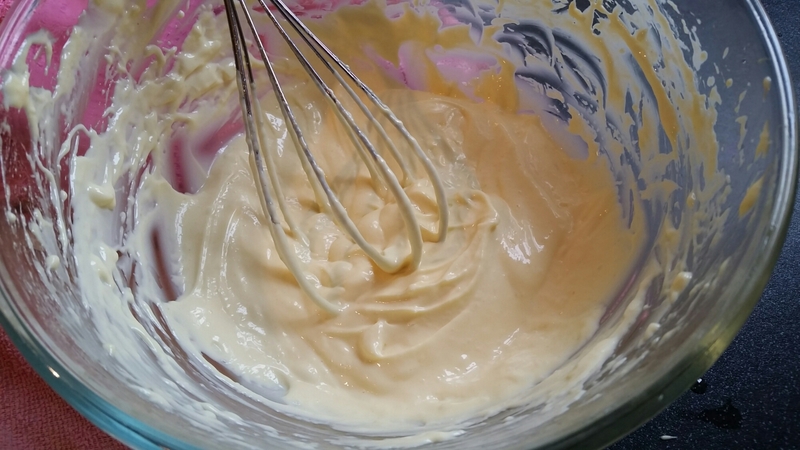 Firstly, I made a simple mayo using three egg yolks, half a teaspoon of mustard, some cold pressed rapeseed oil, and some good old vegetable oil (which also happens to be rapeseed, it’s just more heavily processed than the cold pressed stuff), white wine vinegar and lemon juice. I’m afraid I can’t really give you quantities as I made it by sight, taste and texture, but there are plenty of recipes on the Internet should you prefer. 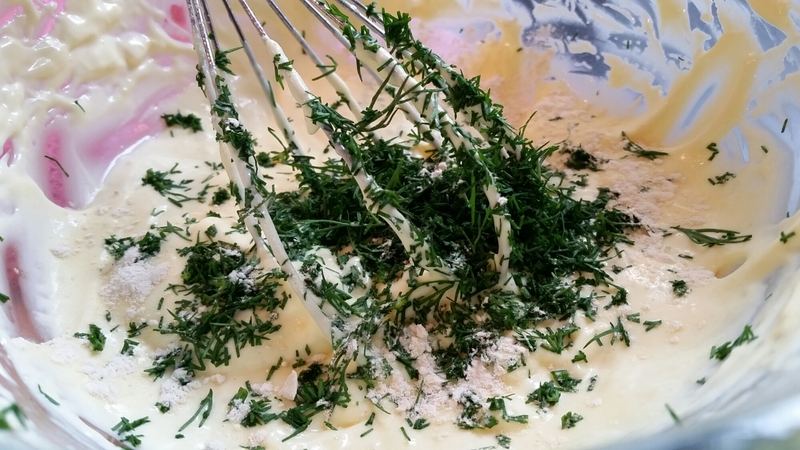 The basic method is whisking the yolks and mustard together, then adding in oil (very very slowly initially to avoid splitting) until a very thick consistency is reached, before adding the vinegar and lemon juice. 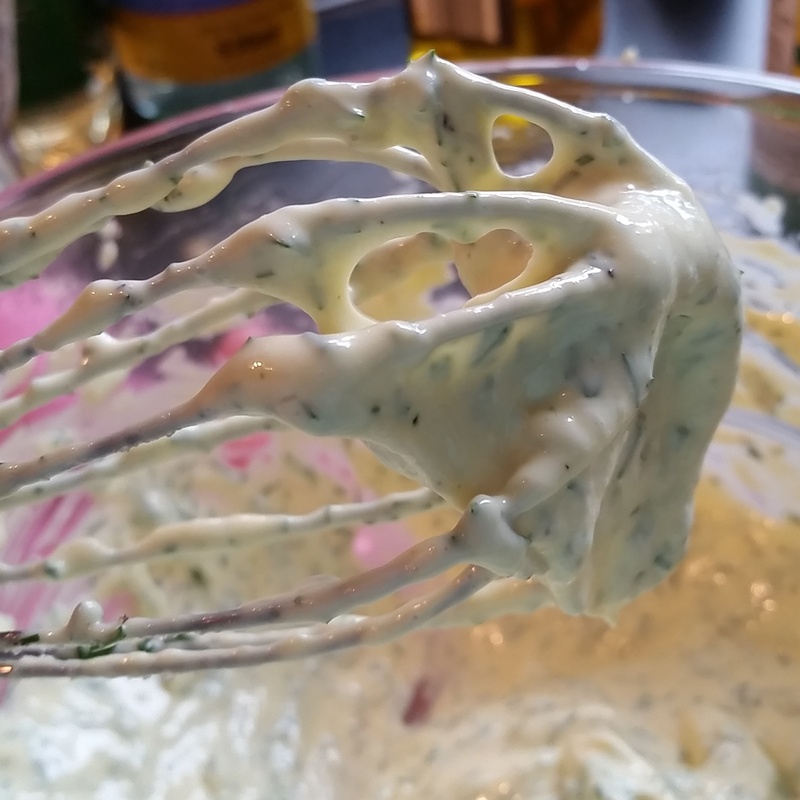 Once you’re happy with your basic mayo you can start adding flavourings of your choice. I used garlic, salt, pepper and a large handful of freshly chopped dill. Delicious! This will keep in the fridge for about a week, although it’s so good I doubt it’d last that long! 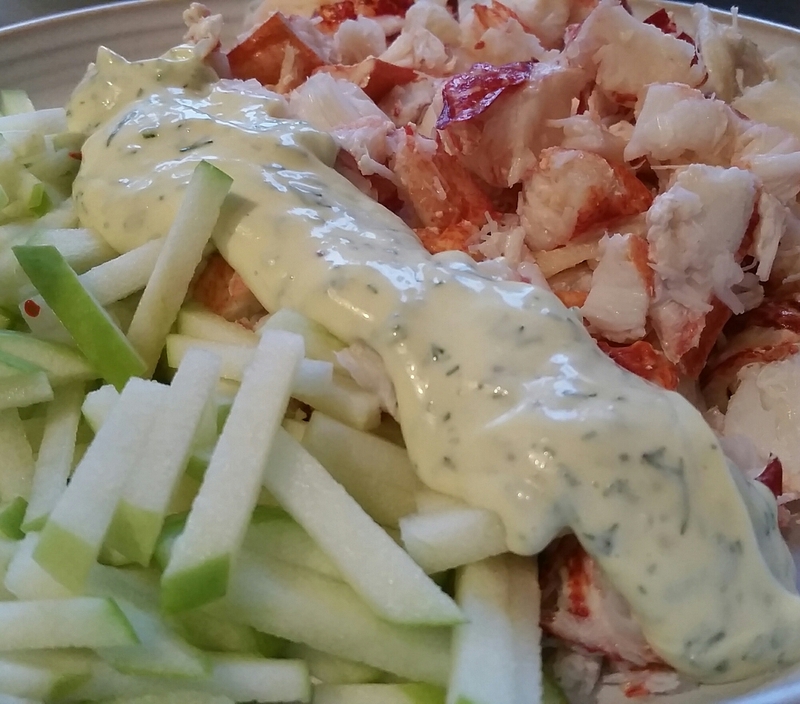 Now that the dressing is made, it’s time to remove the meat from the lobsters and start to assemble. This is a rather messy job, but well worth it. 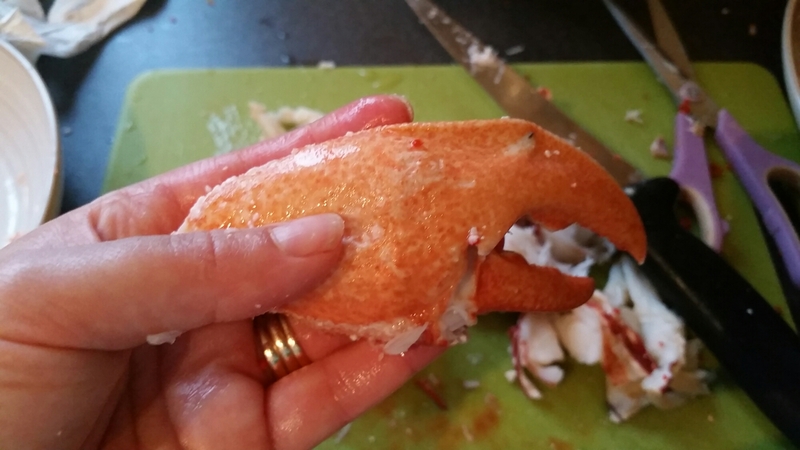 Break the claws off the body and remove the head from the tail. Cut down the underside of the tail with sharp scissors and remove the meat in one piece by gently pulling it out. Score down the top of the meat and open to reveal the vein. Remove the vein and any rowe which may be in there and chop into small chunks. Set aside. 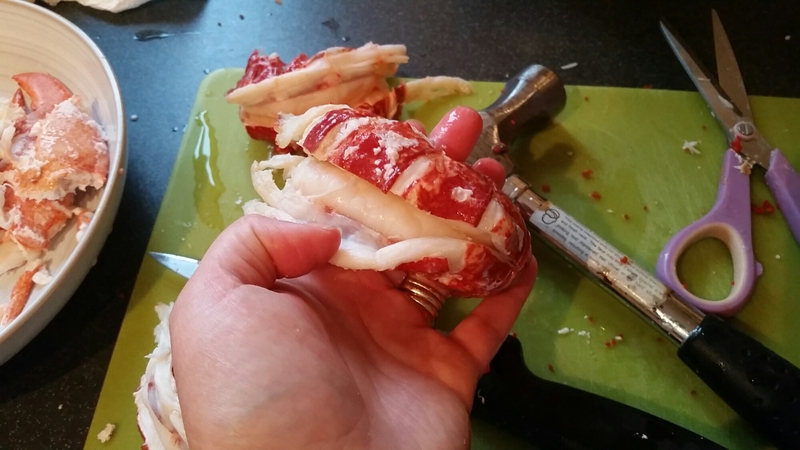 Don’t worry if it breaks up though, it’ll just mean you might need to use a skewer to pick the meat out of the ends of the claw. Inside the claw meat is a flat oval bone, remove this whilst breaking the meat up into smaller chunks. Now, if you can be bothered you can squeeze meat out of the legs, however this is a tedious task and not one that I had time for today unfortunately. 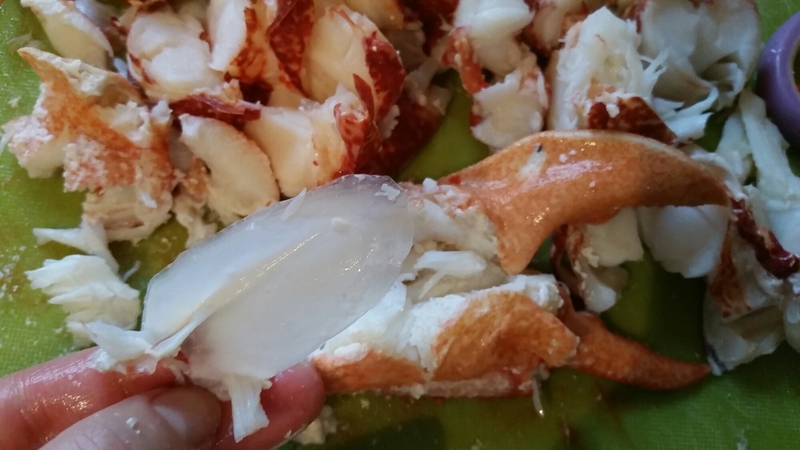 You’ll be left with all the shell and the heads which would make an incredible stock for a bisque or soup, but again, time didn’t permit it today, so the chickens feasted on lobster heads instead and I’m sure they’ll be eternally grateful! 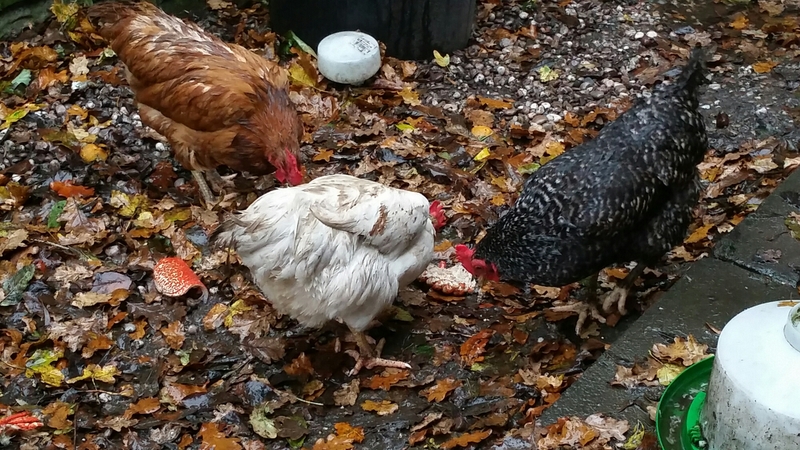 A little treat to cheer up our very soggy hens on this miserable British day! Now wash a crisp Granny Smith apple and cut into short matchsticks. 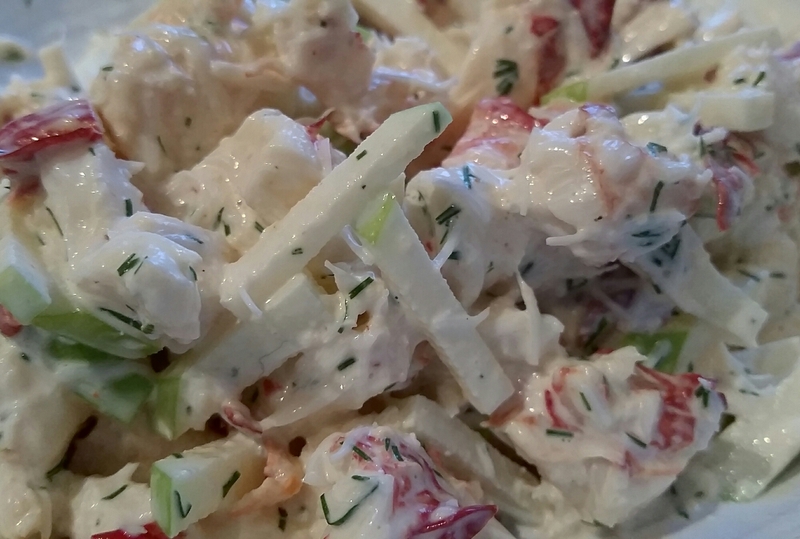 Put in a bowl with the chopped up lobster and dollop on a couple of spoonfuls of the dill mayo. Combine well and taste. Mine was lacking acidity so I spiked it with more lemon juice. 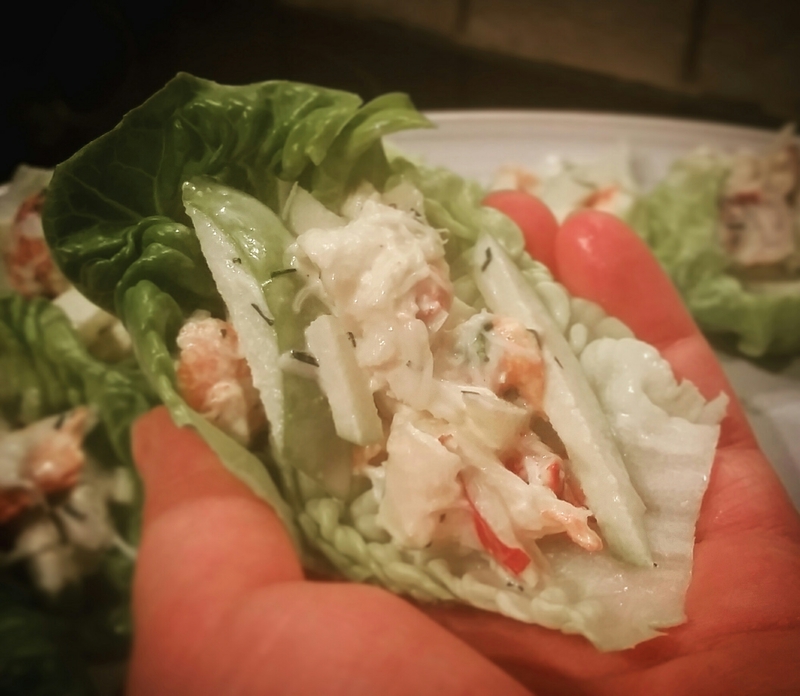 I piled the salad into little gem lettuce cups to make them easy to pick up and eat in a couple of mouthfuls, sprinkled over some more chopped dill and served. Delicious! Once you have a simple, fail proof cake recipe under your belt, you can’t go far wrong. Here’s my favourite basic recipe which can adapted and tweaked by adding different flavours. Crack three eggs and weigh them, then weigh out the same amount of caster sugar, soft butter and self raising flour. Beat the sugar and butter together until light and fluffy then add the eggs one at time until they’re combined. If you’re adding flavours add them at this point. Vanilla, chocolate chips, cocoa powder, coconut, cinnamon, fruits, the list is really endless. For this one I zested 6 clementines and added all but a teaspoon of it to the mix, before juicing the fruits and setting the juice aside. I added in the flour in four lots to ensure it was well combined before drizzling in some of the clementine juice to loosen the batter to dropping consistency: Three tablespoons did the trick. 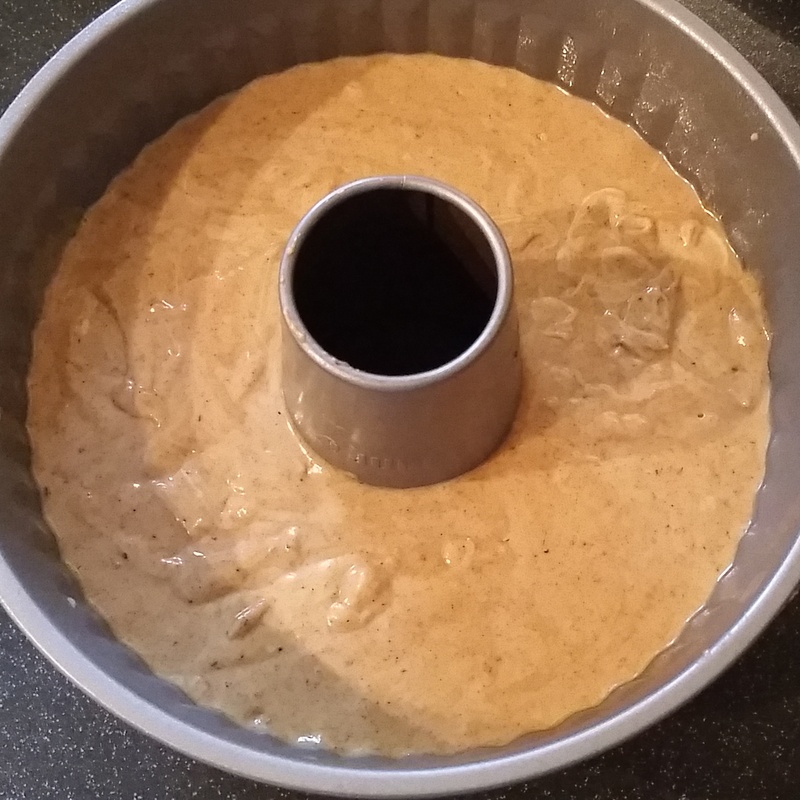 I sprayed a bundt tin with cake release spray, and put the batter in before baking at 180oC fan. 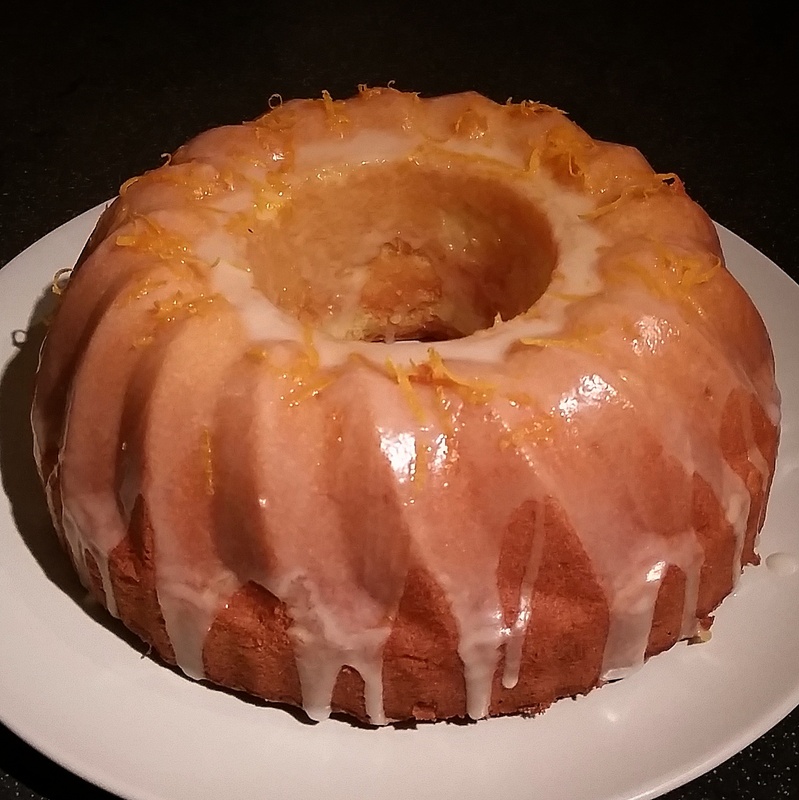 While the cake was baking I added icing sugar to the remaining clementine juice plus a few drops of passionfruit extract. The floral notes of the extract really complement the citrus flavour. 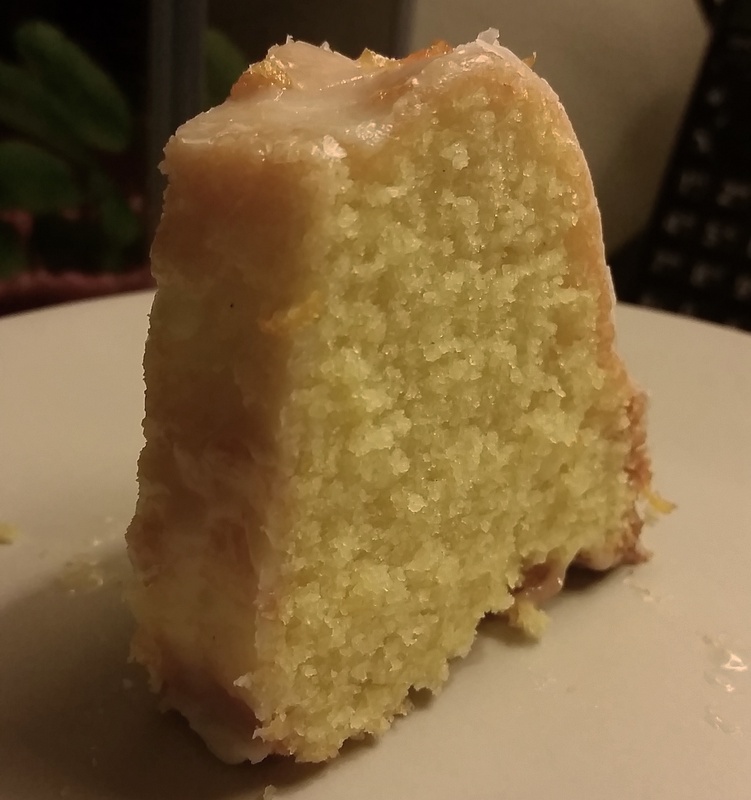 After turning out, I let the cake cool before drizzling on the glaze and sprinkling with the remaining zest. Yum! 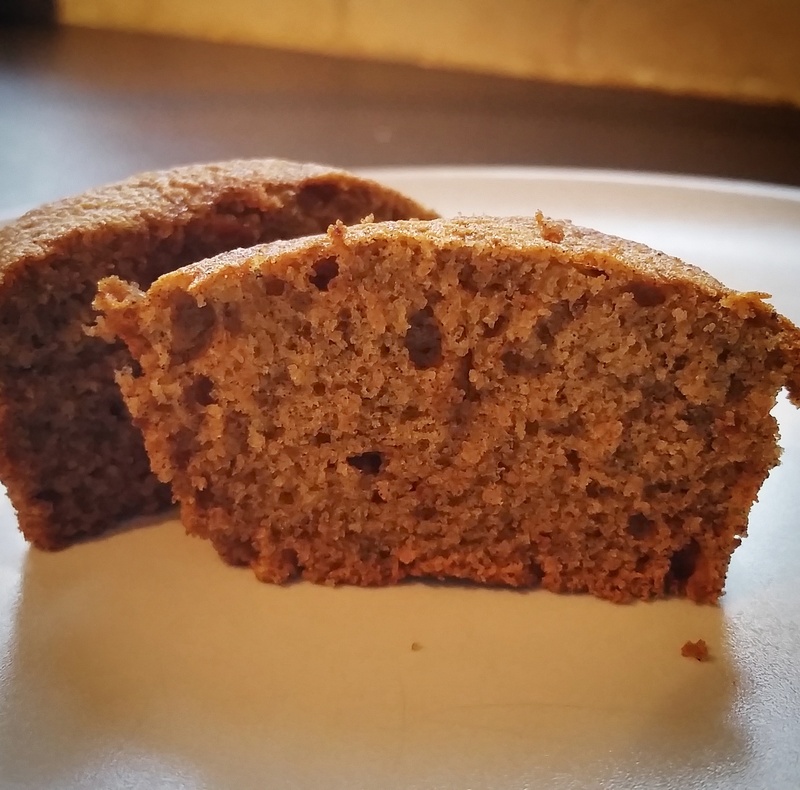 Moist, sweet, tangy, satisfy and great with a cup of coffee with friends. 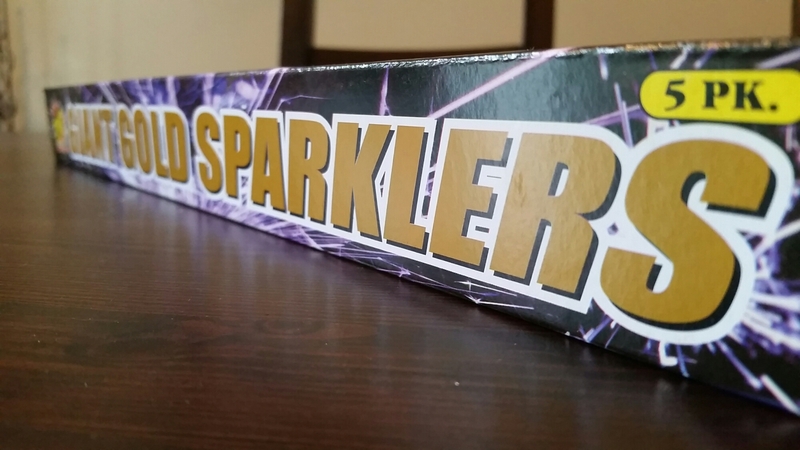 Sparkler Safety… Stick it in a carrot. It’s the 5th November and here in the UK that means bonfire night! I love it! Crisp autumnal skies lit up by umbrellas of crackling, sparkly colours, crunchy leaves underfoot, bonfire toffee, hot chocolate around roaring fires, bobble hats and of course sparklers. Unfortunately each year the romance of it all is shattered by reports of burns and horrific accidents, sparklers being one of the most common culprits. It doesn’t help that they look relatively innocent, but those pretty sparks cause the metal stem to heat up and hot metal burns. However, exercising a little common sense means they can still be enjoyed, and enjoyed safely. My top tip is…. Stick it in a carrot! I kid you not. 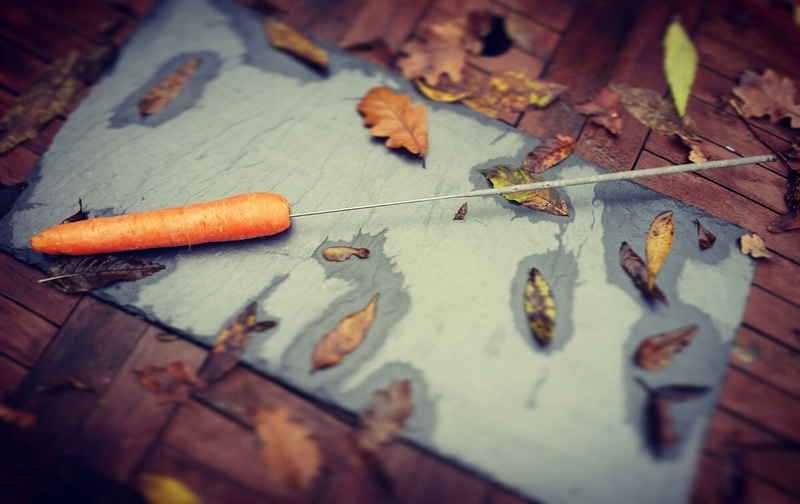 A carrot does not conduct heat and is a heck of a lot easier for little hands to hold than the thin metal stem. It also keeps the sparkler further away from the body that is holding it. 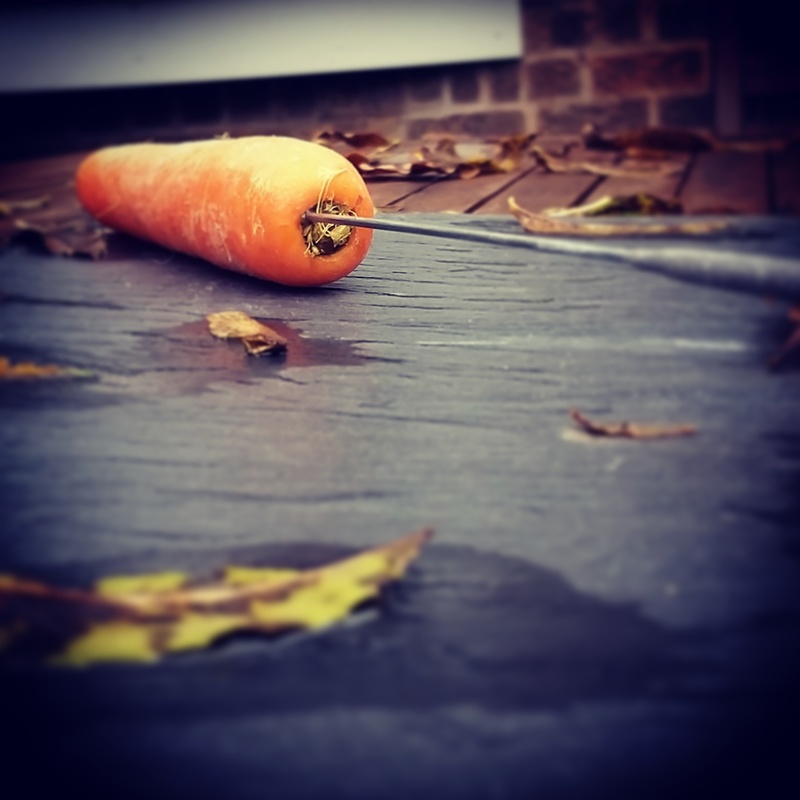 As well as the carrot, taking simple, common sense precautions can be the difference between enjoying the festivities and spending the night in A&E. Have a water or sand bucket handy to stick used sparklers in. Always always ALWAYS supervise children. Always wear gloves and stay a sensible distance away from anyone else.